In this article, you'll learn how you can build the foundation for a successful business, how to become a better salesperson, tips for growing you book of business, and ways to maintain your success going forward. If you're just starting out in the insurance industry or taking over a book of business from a loved one for the first time, this article is a great place for you to get started. A big part of keeping your clients loyal is being transparent and honest with them. Doing so will help them gain trust in you and make them want to stay with you. Many modern consumers rely heavily on their initial gut instinct. If they get the feeling that you’re not being completely honest with them, then your chances of keeping them are next to nil. Keeping them satisfied is important because if they aren’t happy, they aren’t afraid to leave. The modern insurance consumer equates insurance, insurance services, policies, and agents with negative times. Often, the only time they think about their coverage is when some devastating disaster occurs (or when a rather large bill comes in the mail they have to pay). LifeHealthPro found that only 11% of consumers trust insurance agents and brokers. 11%! Your clients need to know that they can trust you so that they feel comfortable relying on you when they need you most. Do you have a way to automate communications with your clients and prospects? Automating simple emails like policy renewal reminders, prospect inquiries, birthday celebrations, and more can save you a substantial amount of time. 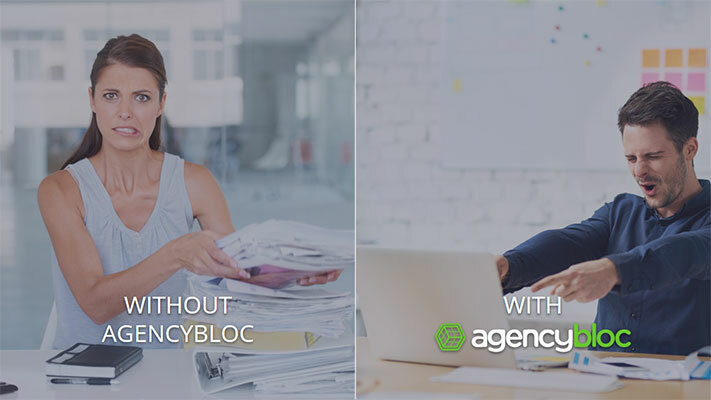 Learn more about the benefits of automated communication with AgencyBloc’s Automated Workflow. Don’t just sell to your clients and prospects—educate them! Building your business on the platform of education will differentiate you from your competitors. Help your clients see you as their expert advisor. Is the modern insurance consumer a complete mystery to you? Download our book, A Brief Guide to Successful Relationships With the Modern Insurance Consumer, to learn how you can sell to them with more ease. Insurance is all about the relationship you form with your prospects and clients. Little to no relationship means little to no chance of converting that sale or keeping the sale. Why? Because your prospects and clients are investing in a partner. If you don’t seem to fit that mold, well, then they’ll find someone who does. Being able to connect with your prospects (and clients!) and close the deal relies heavily on your personality. NextGen Leads found these to be the seven traits best fit for a stellar salesperson. How many do you see in yourself? Feeling comfortable in a variety of settings will help you relate to a wider audience. By definition, ambiverts possess qualities of both extraversion (outgoing) and introversion (homebody). Studies have found that ambiverts have outsold both extroverts and introverts since they’re able to relate to both sides of the spectrum. Not to be confused with egocentric, ego-driven people are achievers that pursue a project with excitement and feel accomplished and uplifted upon completion. Having the ambition to pursue a project through to the end is essential for a salesperson who has to follow-up with a prospect on a regular basis to close the deal. Remember, 80% of sales require 5+ follow-ups to convert; so make sure you’re prepared for the long-haul incase your future client requires multiple follow-ups. Ego-drive is not ambition, aggression, energy, or even the willingness to work hard. The ego-driven individual needs achievement in successful persuasion, not only for the material benefits but for the feeling of satisfaction that comes from the victory. Insurance is a person-to-person industry. To be a great salesperson is to understand the needs and wants of your clients and prospects. A top salesperson is the one who can empathize and sympathize with them, the one who can connect with them on a deeper, more personal level. This is the salesperson insurance consumers are more likely to trust because they’ll feel like you know them, you get them, and you’re there for them. A combination of hard work and perseverance, grit is what pushes you to achieve your goals. The Bridge Group, Inc. found that individuals with grit tended to perform better than those without, and it can account for 49% of the variance in quota achievement. Having a positive outlook on the future and believing the possibility of achievement can make a world of a difference. The New York Times found that insurance agents who had an optimistic attitude sold 37% more than their pessimistic counterparts—and the pessimists were twice as likely to leave the insurance world. Learn more about staying dependable with our blog, How Life & Health Insurance Agents Can Keep Themselves Accountable. Salespeople often work on their own in the field. To be successful, you must be able to work autonomously and push yourself to achieve the goals you set for yourself. InsightSquared defines conscientiousness as achievement and dependability, these are key traits a salesperson working alone must have in order to meet their quota. To stay relevant and successful, you should always be learning, growing, and improving your sales strategy. It will also serve you well to have an in-depth understanding of neuromarketing and how to use that to increase your likelihood of conversion, retention, and referral. Not sure what neuromarketing is? Check out our blog, How to Use Neuromarketing to Improve Your Conversions & Retention. Once you have your stepping stones laid to be your most successful sales agent, then you need to start looking at expanding. Being a great agent is the first step, but you likely won’t be able to bring in business just on that alone. It’s rare for an agency to thrive in today’s world solely on referrals alone. Most agencies have to delve into some type of marketing in order to get the word out and bring new leads in. It’s important to note that both your marketing and sales initiatives should be closely intertwined. Each functions best when it’s influenced and working in tandem with the other. This helps you grow smarter by making informed decisions based on research and proven methods. An example of your sales and marketing strategies working in tandem would be bringing in new leads. You have (or should have) a goal set for the amount of new leads you want to bring in each month/quarter/year. Analyze how many you get from your different avenues of marketing, then test where you can grow that. Try out different methods for lead generation to see which one proves most profitable and best for your agency. Then, stick with it. Keep a close eye on it as you grow to ensure that method will still facilitate your growth. You will likely find that as you grow different methods will prove less effective while others prove more. Don’t be afraid to switch—just give it enough time to test and resonate before making a final decision. The biggest benefit of cross-sells is they’re practically free for your agency. Uncover potential cross-sell opportunities by taking the time to review your client’s current coverage. Do they have life with you? How about long-term care? Cancer insurance? If your answer is “I don’t know”, then do your research. With an agency management system (AMS) like AgencyBloc, this research is pretty easy. Run a quick and simple report to identify which of your clients have X-insurance with you but don’t have Y. Within seconds, you’ll have a list of clients to reach out to about that secondary insurance. The other way is to perform a client needs assessment (CNA). A CNA covers a variety of open-ended questions for you to go over with your client to ensure they are fully covered. You can do this once a year to review the entirety of your client’s coverage to ensure there are no gaps. Clients will definitely approve as they’ll feel extra special from the attention and care you’re giving their coverage. Are you able to accurately identify and efficiently act upon the cross-sell opportunities in your book of business? Check out our free white paper Increasing Revenue & Retention to learn how you can improve your cross-sell strategy with the help of an AMS. The world runs online. If you haven’t made the jump to creating an online presence, then you’re far behind your competition. Even if you’re in the 65+ market, the amount of your audience online is staggering. To be successful you must make the leap and start looking to build your digital presence. Today’s researcher prefers the world wide web. Regardless if they’re looking for shoes, tree trimming services, a plumber, a new couch, a new car, etc., consumers will look online first. If you’re not already online, then start small. Start with a website—a professional one. This is your digital real estate where your audience can land to learn more about you. Make sure you have all of your contact information plus a lead form on your website so your audience can quickly and easily reach out to you. Pro Tip: Using a lead form that’s connected to your AMS like AgencyBloc’s customizable lead form builder helps you work your leads immediately. Set up an automated workflow within AgencyBloc to notify you instantly when a new lead comes in from your website. Remember, 50% of sales go to the first salesperson to call the prospects, and you’re 9x more likely to convert an online lead if you follow-up with them within 5 minutes. In addition to your online presence, you need to also seriously consider creating a social media profile for your business (again, this is true for the 65+ market as well!) You will need to investigate and test which social media platform is best for your agency, but we hear of many life and health agents finding success with LinkedIn and Facebook. 78% of salespeople that incorporate and use social media in their practice outsell their peers. Regardless of where you start, make sure you put aside enough time to test. Testing should take a minimum of 3 months (but 6 or more would be better!) This time frame gives you enough time to have your profile set up, for your audience to find you, and for your ads to saturate the platform. Any shorter and you won’t have an accurate picture of performance and you won’t be able to definitively say if the platform is really working for you or not. If you’re looking to get started sooner rather than later, check out our free eBook, Social Media for Insurance Agencies. It’s chock-full of tips for you to start your social business right now! Emails are a great way to stay in contact with your prospects and clients. In fact, 72% of consumers prefer to communicate via email when it comes to promotional messages or client updates. The benefit of email communications is that you have a 90% chance of your email actually making it to their inbox—a far better chance than connecting on door-to-door, paid ads, or cold calls. If you’re new to email marketing and want to learn more, check out our blog 12 Tips for Avoiding Spam Complaints. Email marketing is a fantastic medium to connect with your audience, just make sure they opt-in to your emails and give you permission to email them before you press send. You can build the most innovative insurance agency in the world, but if you’re not client-focused and organized, your business will falter. Being client-focused and organized are the building blocks of a successful business. Insurance is a person-to-person industry; it really matters that you care and look out for your clients and prospects. The more human you can make your business, the better. Take a look around at businesses today. Those who make an effort to be personable and communicative with their audience often fair better than those who don’t. Start your business off on the right foot by making it both client-focused and organized so you can be as successful as you possibly can. Strong, positive relationships are the foundations of success. Keeping relationships in mind is essential for building loyalty and referrals within your client-base. Remember 52% of insurance consumers are relationship buyers, so it really matters that you form a meaningful bond with your clients and prospects if you hope to keep them into the future. The relationship you cultivate with your client and how you maintain it throughout their journey with your business will make all the difference. Keep your optimism and capitalize on the human element—then keep going. You want to create strong, loyal relationships. Using software like an AMS can be your partner to building those relationships. A cloud-based system allows you to help them regardless of where you are. All you have to do is log in; then, you’ll have access to all the detail you need concerning that client or prospect, their policy(ies), and more! You’ll be able to answer your client’s questions in real time without having to put them on hold or call them back. Being responsive and providing them with the information they need will be essential to heightening your client’s experience and happiness with your business. Automated workflows help you to stay in better contact with your clients without having to lift a finger. Set up campaigns that instantly send emails and create task assignments to keep you, the client/prospect, and any other pertinent parties in the know. By enhancing client communication, one agency has been able to retain 90% of their business in the year since moving to AgencyBloc! Read more about the agency and the other savings they’ve found with AgencyBloc in their case study. Plus Automated Workflow can help you stay on top of your tasks. 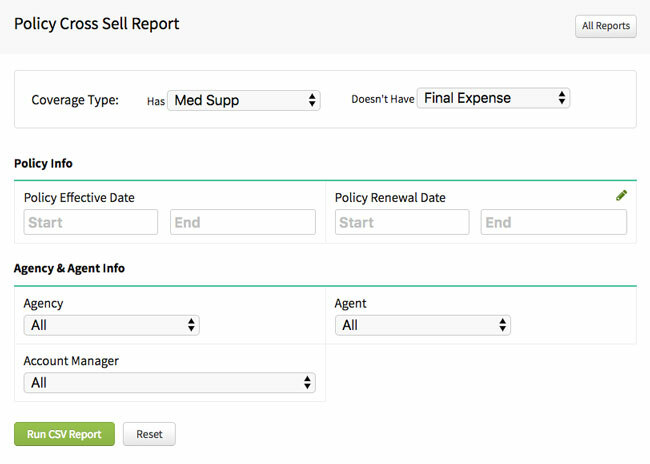 Create workflows that notify you (the agent) instantly of changes like new leads, policy approvals, new prospects, etc. so you can work them immediately. Improving your client communications can only benefit you as it helps to ensure no client or prospect falls between the cracks. Learn more about the benefits you can find with Automated Workflows in our free, on-demand webinar, Using Automated Workflow for an Efficient Insurance Agency. To maintain positive relationships with your clients, you also need to be organized and prepared to provide them with the best service possible. An AMS can give you multiple avenues by which to achieve this from automated capabilities, easy searching, custom reporting, and intuitive navigation. Not only is having your information organized good practice in general, but it’s beneficial for the future should you decide to sell. Because, let’s be honest, no one wants to inherit file cabinets. To be the best agent you can, you need to have a partner at your side. A software partner. That software will help you to achieve more in your day with less work, stay on top of your tasks, and will allow you to focus on other important aspects of your business—like spending time with your clients and prospects. You’ll be more focused, efficient, and effective in your efforts and less will fall between the cracks. In conclusion, the key thing to remember is relationships. Insurance is a person-to-person industry and relies heavily on the interactions you have with your clients and prospects. In order to convert them, keep them, and grow with them, you need to make sure you’re providing them with the highest level of service possible. That’s why partnering with the right software is crucial for your agency. When a client feels a connection to you, the results can be fantastic. They can be your strongest champion and help you to bring in more valuable business. Instill values in your business that are not only respectable but ones that can also grow with you. Find a software partner that not only meets those values but upholds them as well. Then, go out there and do it. When you're starting your insurance business, make sure you're starting on the right foot by choosing the right software partner. Choosing the right agency management system (AMS) can help you achieve more with less effort, keep all of your information organized, and make it easier for you to perform your day-to-day tasks. Your day-to-day can be far easier and your business far more manageable when you partner with an all-encompassing, whole-office AMS, like AgencyBloc.